T•Shellz Wraps are basically the perfect home treatment for IT Band Syndrome - helping improve elasticity and length of the tight tendon while healing at the same time! 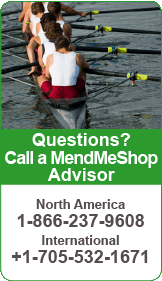 Improved blood flow helps reduce the risk of atrophy in muscles. 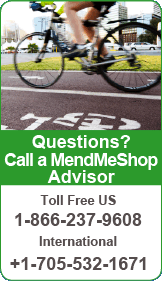 When you stop moving your leg and hip due to pain, your muscles and other tissue can become weaker and dead cells and toxins in the area can cause further tissue deterioration - this can lead to atrophy in your quadriceps, hamstrings, glutes and many other muscles in the thigh, groin, lower back, knee and hip. 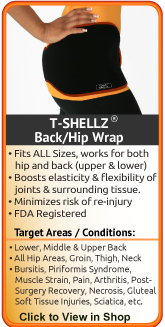 The Back/Hip T•Shellz Wrap® is an amazing tool that can be used to treat your entire core area. 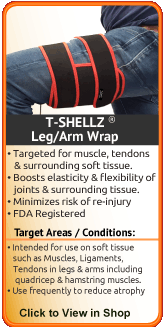 We have T•Shellz Wraps for every major joint of the body. By clearing the area of toxins and increasing the amount of oxygen and nutrients to your hip, IT band, and leg muscles, the risk of atrophy (muscle weakness and/or deterioration) is greatly reduced. Keeping your hip and leg tissue as healthy as possible throughout the healing process will allow you to improve strength again once your pain has gone and your IT band has healed. 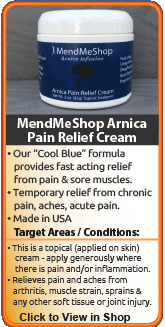 HEAT (warmth) is used after you've reduced your swelling / inflammation and the sharp pain is less intense (you have more of a dull / nagging ache and soft tissue tightness in your hip). Warming up deep tissue using Electromagnetic Energy is a natural way to encourage healing of bursitis and heal surrounding soft tissue. Increasing the temperature of deep tissue results in increased blood flow circulation as the body sends more blood to attempt to remove this same heat. It's the blood in your body that will bring oxygen, nutrients, antibodies and energy to your injured hip to help with healing. Physical therapy is a beneficial way to restore atrophied muscles and improve strength and mobility when suffering through a long term debilitating hip injury. The type of physical therapy and the duration will be dependent on the tissue damage and your symptoms. When you are treating or recovering from IT Band syndrome, it is important to ensure you do not perform any exercises that will further irritate the condition. Once your pain starts to diminish, a physiotherapist will set up an individualized strengthening and stretching exercise program for you to perform at home or in the gym. This will be based on your needs and abilities, and will help you return to performing your normal routines. Individuals will often lift weights on their own, to try and build up their strength. However, in doing so, they can do more damage to their joint. It is extremely important to strengthen your muscles properly, as they may have weakened during the period of non-use. 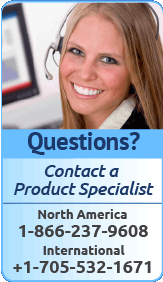 A trained therapist will help to ensure your rehabilitation process is appropriate and effective. 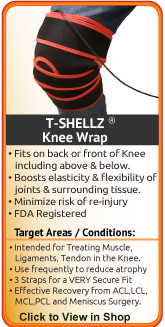 For best, long term results use T•Shellz Wraps at home, in conjunction with physical therapy and an exercise program.